The SUV market is full of intriguing choices for prospective buyers. However, after you’ve done a bit of research, you’ll surely recognize that Chevy’s grouping of crossover SUVs are the perfect targets. The trio of options – the Equinox, Traverse, and Trax – provide every attribute that a buyer could possibly be seeking from this type of vehicle. Owners can expect technological features that will keep them entertained and occupied, while the additional safety features will keep the occupants safe and secure. The spacious interior makes it easy to fit both passengers and cargo, while the engines will allow the driver to keep up with any driver on the highway (as well as save some money at the gas pump). Is there anything these crossover SUVs don’t provide? Back in the day, some car owners were presumably content if their new vehicle simply included a functioning radio. Nowadays, these owners require the latest and most modern technology. Fortunately, for those interested in Chevy’s crop of crossover SUVs, they’ll find everything they want in the grouping of 2017 models. It starts with Chevy’s MyLink system, which provides a number of services and features via the touchscreen on the center console. Drivers can access a number of useful applications that will come in handy during their journey, including a comprehensive, reliable navigation system. Thanks to the Apple CarPlay and Android Auto compatibility, drivers can seamlessly connect their smartphone to the MyLink system. This doesn’t mean that drivers can only access their preferred playlists or podcasts. Rather, they can also make phone calls or send texts, so they’ll never be off the grid while they’re driving. Plus, thanks to the Bluetooth wireless technology (or the Siri Eyes Free function on the iPhone), drivers won’t have to take their eyes off the road if they want to access all of these advantages. The technological inclusions don’t end there. Chevy included available built-in 4G LTE Wi-Fi, meaning drivers or passengers can constantly stay connected to the internet. If you’re required to do any work during a road trip, you won’t have to pull over to find a restaurant or establishment that has wireless internet. Rather, you can complete all of your work from the comfort of your Chevy crossover SUV. The system is powered by the vehicle’s engine, so there should never be any issues with having the necessary amount of juice to access this feature. Best of all, the Wi-Fi can connect up to seven different devices, so your occupants won’t be fighting over who gets access to the internet. The cherry on top is the myChevrolet Mobile Application, which allows owners to manipulate their crossover SUV remotely. Thanks to the phone app, owners can start or stop their engine and lock or unlock their doors, providing unmatched convenience. Occupants can even send directions to the navigation system, or they can view vehicle diagnostics with the simple push of a button. What do you value in an SUV’s engine? Well, you’re likely to find that particular attribute in Chevy’s crop of crossover vehicles. For those seeking ultimately fuel efficiency, the 2018 Chevy Equinox’s 1.6-liter Turbo-Diesel engine will cut down on those visits to the gas station. The unit is capable of delivering a 40 mile per gallon highway fuel efficiency, which is a number that can rival the engines featured in significantly smaller cars. Plus, the engine is incredibly quiet, so drivers won’t be bothered by a constant buzzing or humming sound. Meanwhile, for those seeking power, the 3.6-liter V6 engine that’s offered with the Chevy Traverse will likely be of some appeal. Thanks to inclusions like direct injection, the system is capable of pumping out an incredible 281 horsepower. Engineers included dual exhaust in their Premier model, boosting that number to 288 horsepower. With all that power lingering under an SUV’s hood, we wouldn’t blame you if you’re a bit apprehensive about how the vehicle will handle. Well, thanks to an available electronically controlled all-wheel-drive system, Traverse owners can be constantly in control. The system will provide maximum traction on those peculiar, hard-to-maneuver roads. When the system isn’t required, the Chevy will automatically switch to the front-wheel drive technology, thus providing optimal efficiency. One of the major attributes of an SUV is the interior space, and Chevy has delivered on all of its vehicles. While these rides may be classified as “crossovers,” customers shouldn’t assume that engineers skimped out on cargo space. Rather, it’s quite the contrary. The Traverse can provide drivers with an incredible best-in-class 116.3-cubic-feet of cargo space. If an owner isn’t required to use their SUV to haul cargo, then they can take advantage of the ability to fit up to seven passengers in their crossover. The Trax SUV is just as versatile, as owners can manipulate the seating configurations to accommodate either occupants or equipment. Drivers want to feel confident that their vehicle will help them avoid collisions or accidents. At the very least, they’re hoping that their new ride will keep them protected in the event of an emergency. Fortunately, each of Chevy’s crossover SUVs will help prevent accidents and keep drivers secure. All of the vehicles have been built on a high-strength steel safety cage, which will prove essential during an accident. Meanwhile, the 10 air bags are especially necessary if you’re going to be responsible for transporting a number of passengers. Fortunately, thanks to the OnStar Automatic Crash Response system, drivers know that help is right at their fingertip if they do find themselves in a collision. Of course, the brand’s vehicles also include a number of safety technologies that should prevent accidents from occurring in the first place. Systems like the Side Blind Zone Alert system, the Rear Cross Traffic Alert system, and the Forward Collision Alert (with Lane Departure Warning) will keep occupants out of harm’s way. These inclusions not only notify the driver of an impending crash, but they’ll also manipulate the SUV’s mechanics to prevent or lessen a collision. 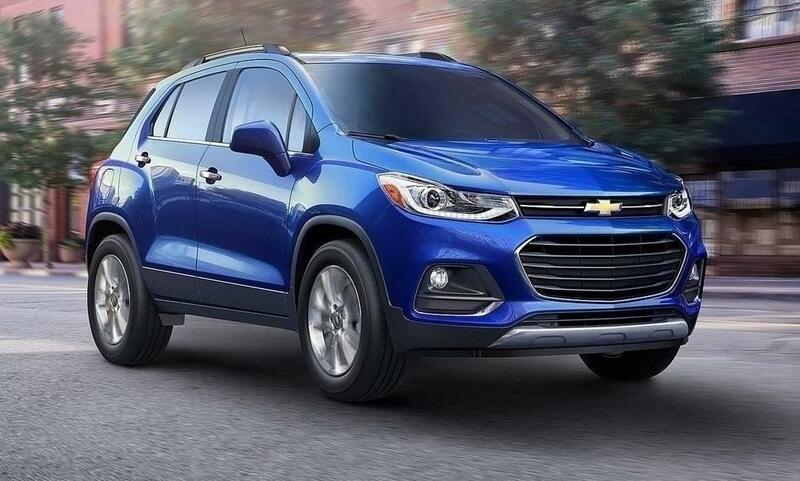 Regardless of the attribute you value most in a crossover, you’ll surely find it in this collection of Chevy SUVs. Whether you prioritize interior space, technology, versatile engines, or safety, the Traverse, Equinox, and Trax will provide everything you could possibly need.